Based on over two decades of inkjet experience, Alchemie Technology offers technical, commercial and business support to those entering or establishing a product position in the rapidly growing industrial inkjet industry. Alchemie delivers the Inkjet Academy course in partnership with Pivotal Resources. Kao Collins is a leading provider of inkjet solutions. Through the development of eco friendly solutions, Kao Collins seeks to maximize opportunities where inkjet can provide value and facilitate growth. Since 1990, the company has introduced innovative solutions that enable customers and OEMs to reduce costs, increase productivity, and expand offerings to various markets – graphics, commercial print, packaging, labeling, and consumer products. Kao Collins formulates and manufactures innovative inkjet inks for high-speed, single-pass printing, including water-based, oil-based, solvent-based, UV-, LED-, and EB-curable technologies. Future plans include printheads, printhead refurbishment, and printer development. Archipelago work for customers in printing, coating, and high-value manufacturing. Archipelago develops technology to create printing platforms to eject viscous fluids, such as adhesives, paint, and paste, and to enhance image quality and transform the reliability of industrial inkjet systems. Our overall aim is to help our customers to make improvements in quality and efficiency and to reduce waste. To do this we combine precision measurement, precision engineering, and understanding of advanced materials. Catenary Solutions specialises in connecting technologies and markets to give a successful and profitable outcome. Combining deep technical knowledge with sound strategic marketing perspective and passion, Catenary Solutions works with companies to deliver added value in technology product commercialisation. Since 1997 ColorGATE has been developing successful software solutions, RIP software and printer driver technology for commercial printing (digital, conventional printing, prepress) and industrial printing. ColorGATE’s core product, Productionserver, a modular RIP, workflow and colour management software is used daily around the globe by thousands of digital imaging users. ColorGATE has been active in the up-and-coming market of industrial printing since 2000. With the Industrial Productionserver solutions for specific application areas of decor, ceramic, textile and packaging, ColorGATE has been supplying modular software solutions since 2016. DPS Innovations offers to the global market a reliable combination of control electronics and software, which can provide inkjet equipment manufacturers with a turn-key solution for multiple industrial applications. In addition to cutting edge control solutions for industrial printers, DPS produces UV LED lamps used for curing of ultraviolet inks and special coatings. The flexible control system developed by DPS supports a variety of printheads, ensuring efficient printing on textile, plastic, glass, ceramics, paper and any other substrates printed by means of inkjet technology. 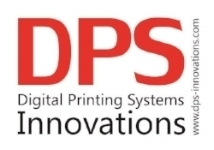 DPS Innovations is a private company with its headquarters located in Sierre, Switzerland. Sun Chemical continues to make revolutionary strides in developing a complete line of pigments and pigment dispersions to meet the broad spectrum of requirements needed to satisfy a growing range of inkjet print applications. Our color, vibrancy and durability exceed industry standards required for inkjet inks and digital print systems. Sun is positioned to deliver product solutions for a range of print applications including packaging, wide format printing, exterior & interior signage, textiles and more. customers conferences of the highest technical and scientific level in selected fields of interest. Meteor enables ceramic, textile, wide format, packaging, labelling, digital press, and product decoration applications through the provision of world-leading inkjet drive electronics and software. Working closely with all major industrial inkjet printhead manufacturers, Meteor supplies production-ready electronics and software to printer OEMs and print system integrators world-wide.